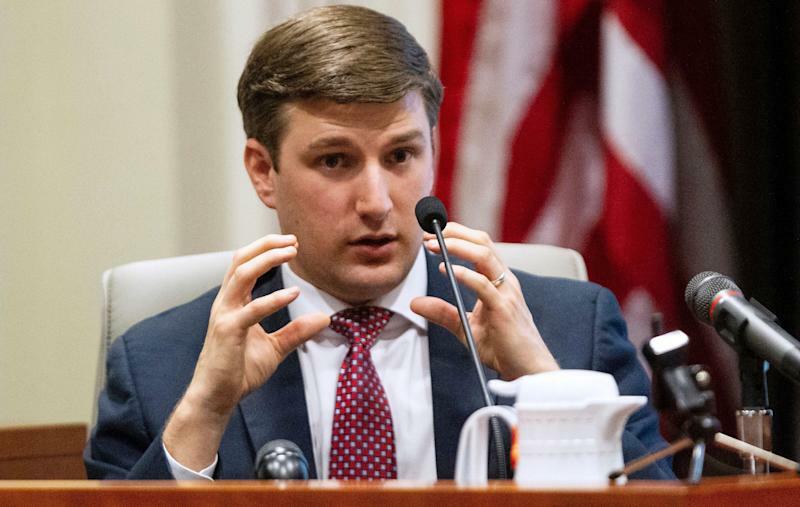 The North Carolina Board of Elections voted unanimously to hold a new election in the state’s Ninth District after overwhelming evidence of vote tampering. Prior to the board’s decision, Republican Mark Harris, the declared winner in the race who had been fighting for his election to be certified, changed his position and called for a new election. Harris was initially declared the winner by 905 votes over Democrat Dan McCready, but the race was never certified, as evidence began to surface of ballot fraud by employees of the Harris campaign. On the fourth day of an evidentiary hearing by the board, Harris said there should be another election. After hearing testimony all week, the board — which consists of three Democrats and two Republicans — ruled that absentee ballots were illegally collected by Harris staffers. A spokesperson for state Republican Party told Yahoo News that candidates would file to run in a new primary prior to the special election. Republicans initially objected that Democrats were trying to “steal” the election with claims of fraud, but over the last several months evidence accumulated that a Harris consultant had sent workers to collect absentee ballots and destroy them or fill them in for the Republican. “While it is disappointing that folks may have violated the law, at this point we are dealing with a limited number of ballots that are nowhere close to bringing the election result into question,” Dallas Woodhouse, head of the North Carolina Republican Party, told reporters on Monday. The campaign staffer, Leslie McCrae Dowless Jr., a local political operative, has been convicted of fraud and perjury unrelated to politics. And this is not the first time that races Dowless has been involved with have had curious results. In 2016, a candidate who hired Dowless won 221 of the 226 absentee ballots cast despite finishing third overall in the primary. In 2014, Dowless worked for a candidate who was narrowly elected sheriff amid allegations of absentee ballot misconduct. Dowless, who hasn’t been charged with any crime, declined to be interviewed by the board. The case for Harris took a negative turn on Wednesday when his son John Harris, a 29-year-old assistant U.S. attorney testified that he had warned his father that Dowless was “shady” and “he thought what he was doing was illegal.” Harris also said that he had raised concerns with the campaign’s chief strategist, David Yates. The younger Harris added that he didn’t think his father, who was brought to tears by his son’s testimony, knew about the tampering. Mark Harris had initially denied reports that he had any warning about Dowless. A former senior pastor of the First Baptist Church in Charlotte, Harris has controversial positions on some social issues. In his statement on Thursday, Harris said that he had been hospitalized in January and was still recovering from sepsis. During this week’s hearing, operatives explained how they were paid by Dowless to collect absentee ballots, sign as a witness when they hadn’t seen ballots filled out and forge signatures.